Vortex added two new models to the Strike Eagle family. Both are squarely designed for long range shooting which is by itself reflected through the impressive upper magnification ranges of both of these scopes. Scopes in the Strike Eagle series offer a top-of-the-line 6x zoom in a lightweight design. 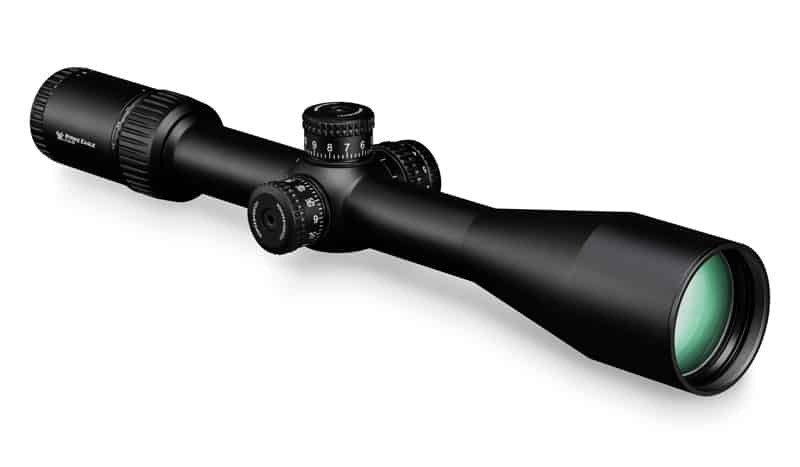 The scopes in the family are designed to help shooters go after intermediate to long distances. So far you could get either a 1-8x24 or a 1-6x24 scope. These satisfied shooters that were looking at medium distance shots. 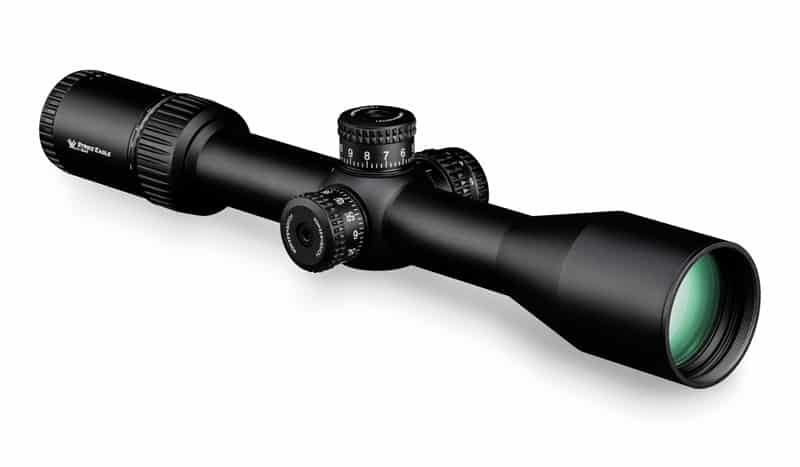 For long range, Vortex now introduced two models on the upper magnification scale. The scopes offer an XD optical system. The lenses are multi coated including anti-reflective coatings for a crisper image. The reticle is located on the second focal plane and is etched into the glass for clean visuals. It comes with enhanced MOA based hold points. The fast-focus eyepiece can be easily adjusted and ensures that the reticle stays sharp in any situation. The reticle is illuminated and feathers 11 intensity/brightness levels. The scope uses a single CR2032 battery to power the light. The illumination dial is integrated into the parallax/side focus adjustment knob on the left side of the scope. Both scopes use a single-piece tube made from aircraft-grade aluminum. The diameter of the tube is a generous 30mm and it is anodized to prevent scratching. The elevation and windage can be adjusted by 120 MOA for the 3-18x44 scope and a still-impressive 80 MOA for the 4-24x50 version. Both ranges are sufficient for adjustments for long distance shots. The turrets are exposed (tactical style) and laser-etched. They are as such easily accessible and feature expected zero-reset and track true. Each rotation on the turrets adjusts windage and elevation by 12 MOA and each click adjusts by ¼ MOA. The scopes are sealed with O-rings as well as Nitrogen purged. This ensures that they end up being water proof and fog proof. Being built sturdy and the tube being made from a single piece of aluminum ensures that they are also shockproof and handle recoil well. The scopes additionally come with an included sunshade. This is used to shield the objective and reduce low-angle light. The overall advantage is a full sight picture under what is considered tough viewing conditions. Both scopes are covered under Vortex Optics VIP warranty which lasts for the life of the scope and is transferrable and includes no-fault conditions.